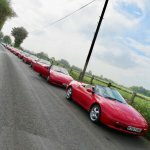 I parted with £7,800 for a 1991 SE with 68,000 on the clock (and £200 to have it delivered). It's in pretty fantastic condition, but with just a few marks of its age (1 small stone chip on the bonnet, slightly perished seals - but still water tight, 1 chip in the drivers side door), and I am head over heels in love with it. It's not a car I've seen referenced on LEC before, but if anyone is aware of it, I'd love to hear anything that is known about it in the community. I have no doubt I'll back back in the various owners sections with questions in the near future, but for now I need to start looking for an intensive driving course (now I finally have something I really want to drive). Sounds like driving it there may be an issue. If I am reading things correctly, elaverick has not got a full driving licence yet. Looks like a nice example. I hope you find this a useful & friendly place. rip wrote: If I am reading things correctly, elaverick has not got a full driving licence yet. 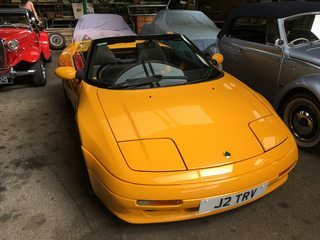 This is true, ever had a Lotus at a meet before with L plates on it? Sadly, we're away on holiday as of Wednesday anyway, but it's nice to see the meets are still going on. I shall see if I can get to another later on. I can see your photo ok. Unlike many forums, this one hosts photos. It will only embed them if they are below a certain size (640x480 I think). Actually, muley drove me to my first local meet in his Elan, before I bought mine. I'd be very happy to take elaverick along in mine if s/he is based around here. BTW rip, can you see the image? I only have the word "image" on the screen where it should be, hence my comments on the image. Is this one any better for you Mark? The original is exactly 640x480 pixels, so it might just tipping the limit. It's odd if it renders for rip and not yourself however. Yes I can. It seems to be hosted on a photo site I had not heard of. Maybe you have a routing issue to it or something? Hello and welcome to you elaverick! (I am pretty sure it's more than 640*480. Giniw wrote: I am pretty sure it's more than 640*480. Right-click it & choose 'View image info'. Details show it as 640x480. I can see every photo you have posted.. Looks like a fantastic car and in great condition. more photos of the interior please. What about the beauties behind. All yours or what? 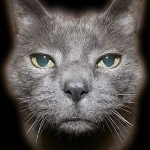 elaverick wrote: Is this one any better for you Mark? The original is exactly 640x480 pixels, so it might just tipping the limit. It's odd if it renders for rip and not yourself however. Thanks - I've checked and it's a network access issue my side - can't see any images on laptop, can see all on my phone. Well, I don't think so? Danevansgolf wrote: I can see every photo you have posted.. Looks like a fantastic car and in great condition. more photos of the interior please. What about the beauties behind. All yours or what? I'll try and grab some pics of the interior tomorrow in the day light. Top tip - Don't buy the magnetic ones. When James was 18 and learning to drive I looked at getting him on the insurance to drive the Elan - not really expensive as they do (did?) a 'Learner Policy' which means that they drive your car, but with their own policy and only when acompanied by you (cheaper than getting a seperate policy on another car in their own name). There was no 'NCB' allowance, and the car needs to be covered by the owner. Anyway, having looked into it, I established that it was fine for learning, but you are not allowed to take your driving test in it (restrictions on convertable cars), so it wasn't ever done. dapinky wrote: it was fine for learning, but you are not allowed to take your driving test in it (restrictions on convertable cars), so it wasn't ever done. I thought I heard that somewhere before. Perhaps because the rear view is poor with the roof up?